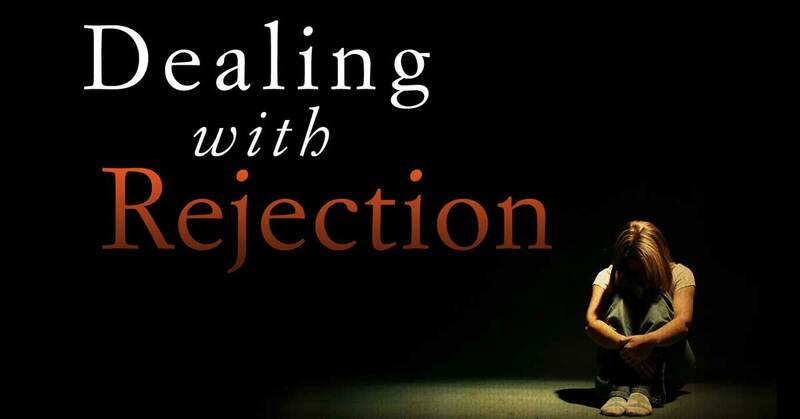 Rejection tops the list for five most hurtful things to face. The feelings run deep, the hurt from rejection stings like no other, and bouncing back from the ultimate slap in the face can seem impossible at the moment of truth. Whether it’s from a relationship failure or not cutting it on the job, rejection is still a tough pill to swallow. Even after vowing to never fall into the dark rabbit hole of rejection, many times it’s inevitable to happen again due to no fault of your own. It’s completely okay to have feelings of hurt, resentment, and anger, but it is important to channel those feelings in another direction and try to see the situation as motivation to move forward. 1) Rejection is not the end of all things. Life still goes on and you have to forge forward. 2) You’re stronger because of this. This trial will make you emotionally stronger and be able to prepare for next time. 3) Refocus. Use this time to refocus on goals and passions and follow through with your intentions. 4) Know your worth. Focus on being true to yourself and don’t sell yourself short. 5) It’s not meant to be. The situation was only meant to be a season of your life, not a lifetime. 6) Keep your emotions in check. Sure crying about it is okay, but don’t take rejection too personal. A lot of times it really isn’t your fault. 7) Stand up for yourself and keep people in check. Don’t let their rejection be an excuse to mistreat you further. 8) Look at the bigger picture. In the grand scheme of things, this situation is minor compared to an entire lifetime. 9) Control your reaction. 90% of the results you see are based on how you reacted. Stay calm, cool, and collected and stay in control of yourself. 10) Call someone to reflect with. Sometimes another viewpoint can help sift through the blur of emotions. 11) Stick up for yourself. Don’t be afraid to make waves or rock the boat. If it’s wrong, say something. Keep your integrity and ethics on the frontline and protect your worth. 12) Get connected spiritually. Meditation, yoga, exercise, or a hot bath may be just what you need to calm your mind and slow down your thinking. 13) Distract yourself. Try a new activity, hobby, or restaurant with new foods. Go with friends and have fun and get your mind off the stress for a few hours. However, you choose to cope with rejection, remember it’s going to happen in life. Of course it hurts, is painful, and embarrassing. But how you react to it is what is most important. Take care of your emotional, physical, and mental well-being. Staying healthy in a tough situation is key from getting physically sick or having an all out mental breakdown. No matter what, you come FIRST! No one is going to take as good as care of you other than yourself.